Hi S2ki! My name is Charles and I am a fellow GPW AP2 owner and wanted to introduce my new company that focuses on functional, yet attainable track components for weekend racers. Currently we have a few S2000 specific products such as our: Quick Release Splitter Brackets, Full Splitter Kit, and Aluminum Side Diffusers (Coming Soon). We wanted to hear from the community, gain feedback, and ultimately create functional race products that the every racer can afford. As a track enthusiast myself, I felt like the market was lacking quality race products without the hefty price tag. We all know that track and competition days can get pricey and many of the parts available that help improve lap times can become difficult to attain. This is where I wanted to fill the void and offer products that are designed with a purpose, manufactured with high-quality materials and processes, and ultimately help everyone be able to utilize that savings on seat time. Racebred Components was founded on the principle of providing high-quality and accessible precision track components to race teams and weekend warriors alike. With a diverse background in design, time-attack, and road racing, Racebred Components provides a unique opportunity to serve a large audience of dedicated racers and track day enthusiasts with functional race components at attainable price points. Our team knows what it takes to make our clients happy. We utilize on-track testing and customer feedback to design and manufacture all components and offer exceptional products that function in highly demanding conditions. Being able to control the design, prototyping, R&D, and manufacturing ultimately gives us the ability to create innovative, high-quality, and affordable race products. Very nice, I wish I bought your splitter brackets instead of the Devsport ones. 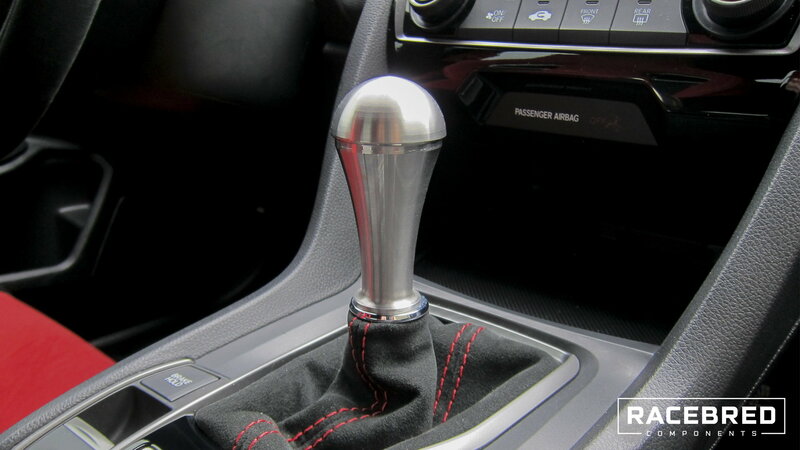 Debating buying your shift knob. 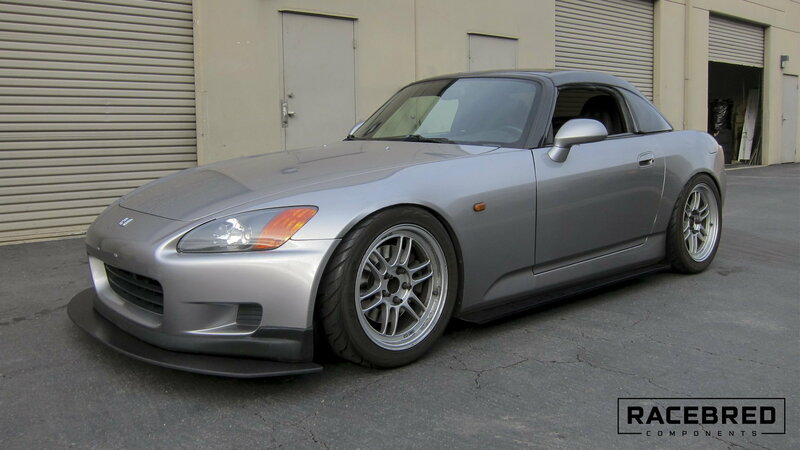 Got any pics in an S2000? no pictures of you standing on the splitter? We can guarantee you that you'll want to make the change soon. 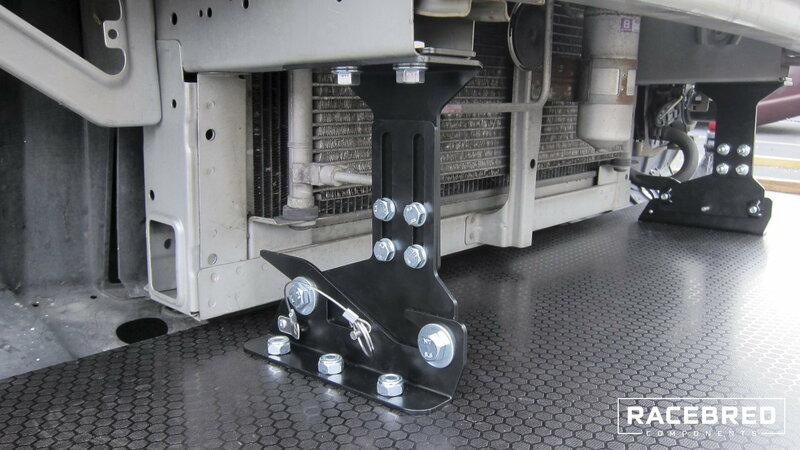 Having the ability to conveniently remove your splitter for daily driving or loading your car on/off the trailer is a huge plus. No photos on a S2000, but here is one on a Civic Type R.
We don't claim nor wish for anyone to be standing on top of our splitter or any other splitter. The idea of splitter strength has come and gone a long way since the early 2000's and has a been a bit misconstrued. Having compliance is KEY and a splitter should be considered a disposable item. If your splitter can hold up a few grown men, its simply too strong and is certainly going to destroy other parts of your vehicle during an off. 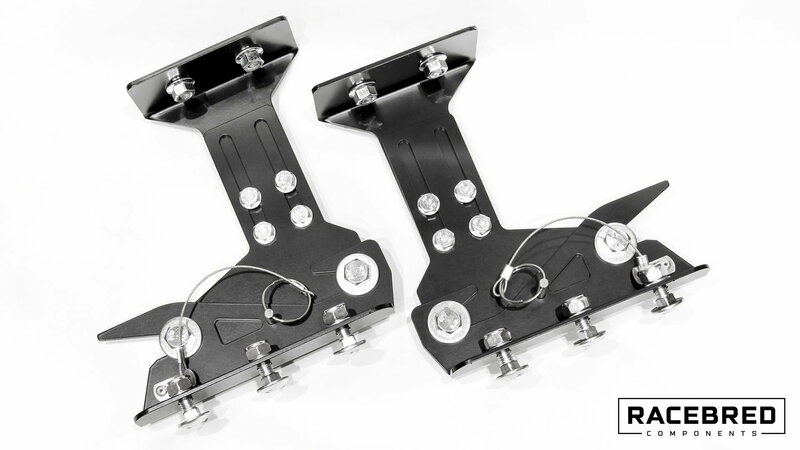 Our quick release brackets compliment our splitter material to help transfer impact and shear from the vehicle. Our splitter material is produced from high-quality birch with a resin-impregnated coating that has exceptional shear characteristics, so that during a crash the splitter is able to rip away from your vehicle and not cause any extensive damage to frame rails, supports, or fenders. Birch is used by racers around the world in NASA, SCCA, NASCAR, and World Challenge, and has stood the test of time and has continued to be a competitive material for decades. We've tested a number of materials from abs plastics and aluminum composites and they were simply not satisfactory during an off road excursion. ABS and aluminum both fold and deflect impact, resulting in the splitter getting stuck under the vehicle or destroying other parts of the front end causing you to end your day or not finish your competition. 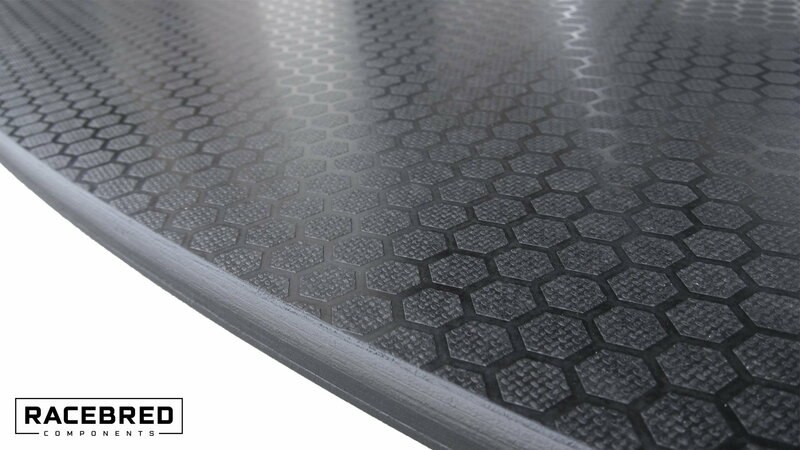 Carbon Fiber is a phenomenal material, however the replacement cost is something less desired. How do you get your hand in there to pull the pin? Assuming you are taking your bumper off, you simply would just pull the pin from the side. I guess I thought the whole purpose was not having to take the bumper off. I have quick release brackets on my site that allow the splitter to be removed from below without needing the bumper to be off. I also hope you have a cotter pin at the other end, because that can vibrate loose. Thanks for your concern, however our quick release pin has a ball bearing mechanism that prevents it from coming loose, along with two M10 bolts that get tightened down. This design has proven itself on our race car with 4+ years of abuse without any issues. What class/rule book is the aero built to?